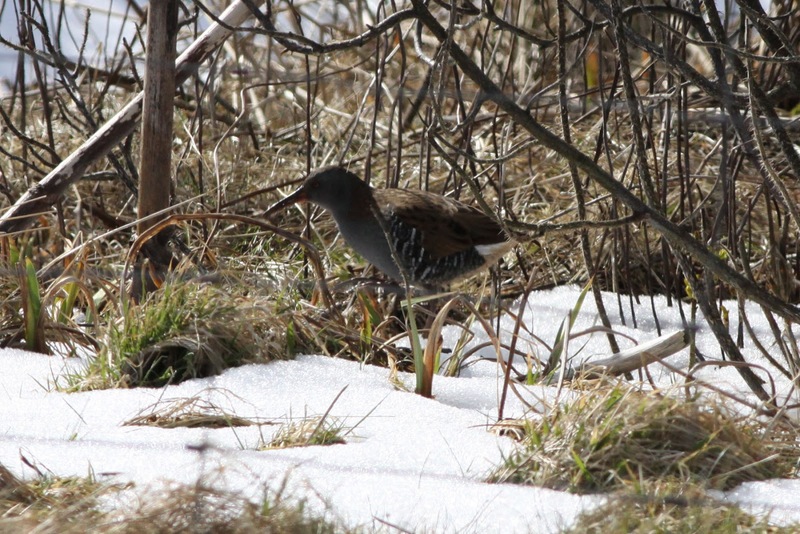 Fair Isle Bird Observatory: the Warden's diary: Late March early Marsh as sightings March on. This Black-headed Gull was added to the kitchen window year list by Grace, who identified it whilst having breakfast. Some bad weather swept through the island at the weekend, but the start of the week has seen much more pleasant conditions. 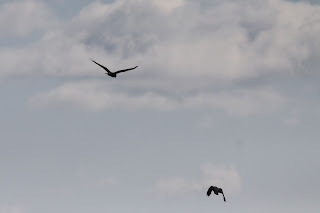 Generally there has been little change in the birds present, but today saw the first real avian highlight of the month when Fair Isle’s 45th Marsh Harrier spent less than half an hour around the south of the island. 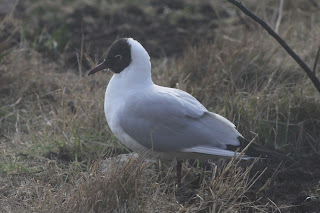 A fantastic male, it was the earliest island record since one on 24th-25th March 1995 (the earliest ever for Fair Isle) and may have been the bird seen a few days ago on mainland Shetland. The fourth Marsh Harrier to be seen on Fair Isle since my arrival, but the first I've seen! Dotterel is my main Fair Isle bogey bird, having missed five whilst I've been on the island. Other birds included good numbers of Lapwings and Blackbirds still around, whilst the two Chaffinch and Robin and single Dunnock and Reed Bunting may all have been lingering birds. 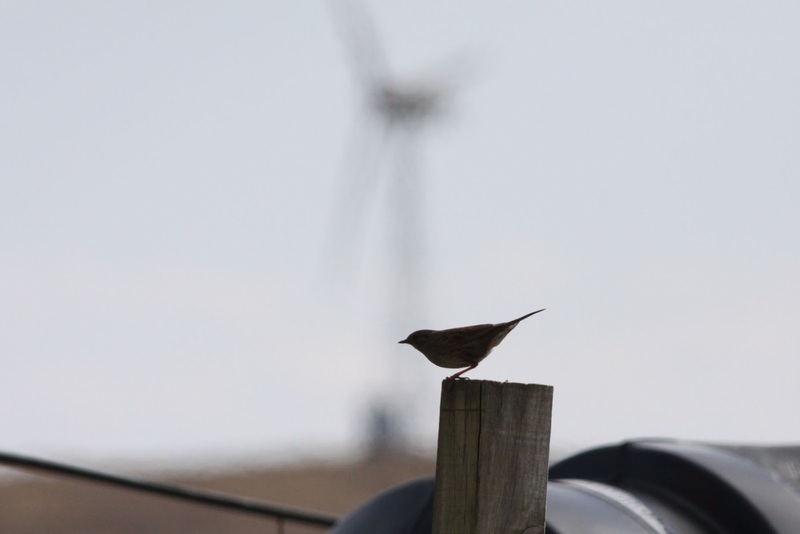 The Dunnock at Stackhoull may have been the Schoolton bird of last week. The calm seas enabled the crew of the Good Shepherd to spot a Minke Whale two miles north of the island this morning, whilst a Porpoise off Buness this evening was the first record of the year. A settled week seems to be on the cards, which will surely encourage a few more birds to move. 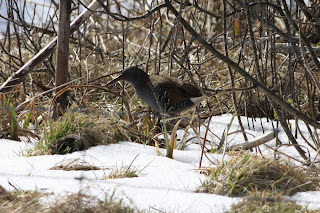 A Water Rail at Chalet in one of the several remaining snowy patches. This was one of two today (the other was trapped in the Vaadal), both may be wintering birds, although passage migrants are likely at this time of year as well.